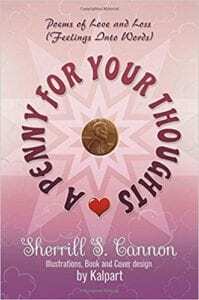 Sherrill S. Cannon is a former teacher and grandmother of ten, and the author of nine published rhymed children's stories and two books of poetry which have received sixty-eight 2011-19 National and International awards. 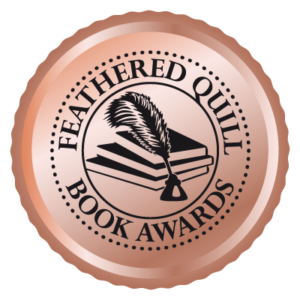 This year’s A Dime is a Sign is a Companion volume to last year’s Feathered Quill Gold Medal poetry winner, A Penny for Your Thoughts. She is also a playwright with seven published plays for elementary school children, which have been performed internationally in over 20 countries. Her various careers include teacher and coach, a professional newspaper sports writer and photographer, a dinner theatre stage manager, and a business administrator. Married for 58 years, she and her spouse are now retired and travel in their RV from coast to coast. To see all of Sherrill's books, please visit her Amazon page. 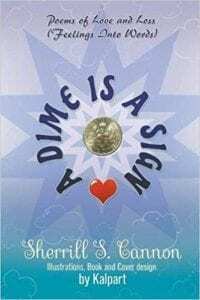 “A Dime is a Sign by Sherrill S. Cannon is a collection of feelings straight from the author’s heart that will touch all readers. I recommend it to all poetry lovers, but especially recommend it to anyone searching for the words behind their feelings, words that describe unforgettable lived moments and words to heal hearts. A Five-Star collection to keep!" “A Dime is a Sign is Vulnerable, Introspective and a Masterpiece of Emotional Catharsis…Enjoy the read to the fullest…Touched my heart in a way I didn't expect. I found myself reliving moments that had been buried deep in the sands of time. And that's what good poetry does. It lingers, makes you stop, and remember - the hills, the valleys, the ebbs, the flows, the good, and the bad. A Dime is a Sign allowed me to open up my feelings to myself." “A Dime is a Sign is such a beautiful piece of work…The best way to describe how Cannon's poetry makes me feel is with the use of the word 'inspired'. Her heart and soul are poured out onto each page and drip from each line, and still, even when the stanza reads in a lilt of restraint, Cannon elevates the message and inspires the heart."